I had the pleasure to review a song under Kalakuta music, which is the only Pan African and bilingual record label in the Ivory Coast. The Waga Hip Hop Festival has a history of being an epicenter of West African, especially Francophone, hip hop. The festival had a strong reputation for promoting serious hip hop. In this conversation we discuss hip hop and Burkina Faso and the legacy of the Waga Festival. In Ouagadougou, where the festival began and was held, the hip hop community has produced some serious & conscious hip hop artists. Smockey, one of the activists in the Le Balai Citoyen (Citizen’s Broom) movement that helped to overthrow Burkina Faso’s previous president, is also a pioneer in Burkinabe rap. Marie-Soleil Frère and Pierre Englebert. “Briefing: Burkina Faso—the Fall of Blaise Compaoré” in African Affairs (2015). Daniel Künzler and U Reuster-Jahn. “Mr. President”: musical open letters as political commentary in Africa” in Africa Today (2012). Daniel Künzler. 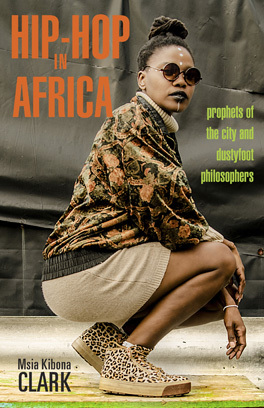 “Rapping Against the Lack of Change: Rap music in Mali and Burkina Faso” in the book Native Tongues: An African Hip-Hop Reader (2011) edited by P. Khalil. Saucier.